Grew up with HKK Posusje (Bosnia-Herzegovina) juniors. Made his debut with Posusje during the 2007-08 season. Signed for the remainder of the season by KK Siroki. Moved to Croatia for the 2013-14 season, signed by Cedevita Zagreb. Signed for the 2015-16 season by KK Zadar. 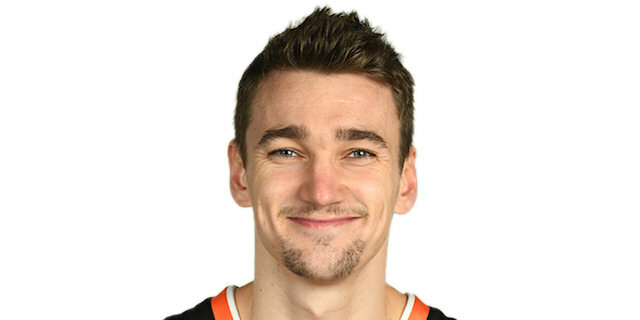 Signed for the 2016-17 season by KK Zagreb. In October'16, signed by KK Zadar. Signed for the 2017-18 season by Cedevita Zagreb. Won the 2009-10, 2010-11 and 2011-12 Bosnian National Championship with KK Siroki. Won the 2013-14, 2014-15 and 2017-18 Croatian National Championship with Cedevita Zagreb. Won the 2011 and 2012 Bosnian National Cup with KK Siroki. Won the 2014, 2015, 2018 and 2019 Croatian National Cup with Cedevita Zagreb. Won the bronze medal at the 2008 European U-18 Championship.